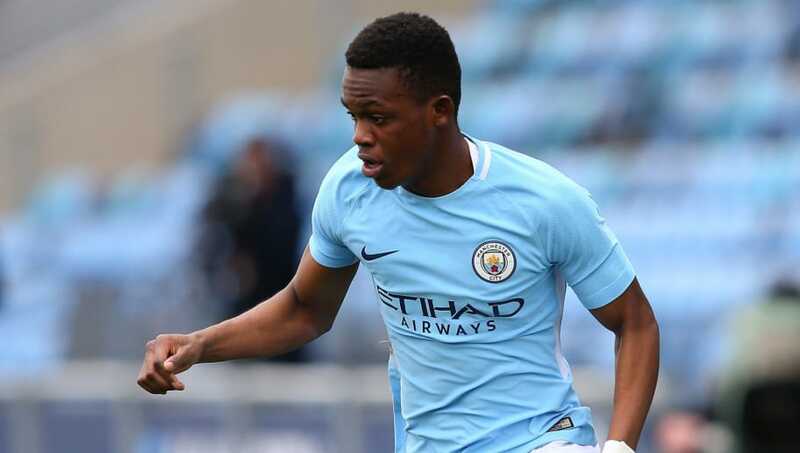 Rabbi Matondo's proposed move from Manchester City to Schalke has edged ever closer with the youngster arriving in Germany to finalise the deal. The 18-year-old has been the subject of interest from the Bundesliga side after rejecting a new deal at the Etihad earlier in the window, with a reported £11.3m fee agreed between the two parties. The move for Matondo now appears close to being finalised, after a video on Twitter, via ​Bild, showed the winger arriving in Dusseldorf, Germany, where he was met by ​Schalke's director of sport, Christian Heidel. Matondo has been in fine form for City's Under-23 side this season, scoring six goals and setting up a further four in 11 Premier League 2 games this season, as well as finding the net in both the UEFA Youth League and EFL Trophy. His performances have also led to the former Cardiff City youth player earning his first cap for the Welsh national team in November 2018, coming on for the final 12 minutes during a 1-0 defeat to Albania. It wouldn't be the first time that City have seen a promising youngster from their academy opt to swap England for Germany, after Jadon Sancho made a similar move in 2017 when he signed for Borussia Dortmund. Since making the move to the Bundesliga, Sancho has become a first-team regular, netting seven goals and providing 13 assists across all competitions under Lucien Favre this season. Schalke are currently 12th in the Bundesliga in what's been an indifferent domestic campaign for Domenico Tedesco's side, although they have reached the last 16 of the Champions League, where they're set to face ​Manchester City.